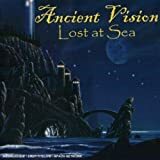 ANCIENT VISION is a five-piece set from Kansas City whose two albums capture the warm sounds of the 70's using today's technology and sensibilities. Since both of their albums were engineered by ex-JETHRO TULL Tim Matyear, the TULL influence is noticeable through out their material. At best, it could be described as a blend of rock, classical and (to a lesser extent) folk. After a number of personnel changes, they settled with Tom May on guitars and keyboards (he is also the mastermind of the band), Barry Spry on bass, Joe Allen also on keyboards, Rob Leythem on drums, Russ Gross on guitars and Tom Hook on vocals. Although reminiscent of TULL, their debut album "The Vision" (1991) is not really folksy; in fact, it features long melodic passages, warm Hammond organ sounds and superb Martin Barre-like electric guitar licks. Their second release, "Focus on Blinders" (1993), continues in the same vein - with the same TULL flavour, right up to Tom Hook's muscular, gravely vocals - but it is a lot more polished and better produced. It also features guest musicians. The longer compositions, the deeper, thoughtful moments, the rich sound textures, the many rhythmic breaks, the good guitar/keyboard interplay, the tremendous synth work as well as some jazzy alto sax (courtesy of Stephen Lon Philkuos) and backing vocals by Debbie Brown all add to the magnificence of the music. Especially recommended to JETHRO TULL aficionados but fans of NOW, YEZDA URFA and CATHEDRAL (70's band) will enjoy it too. Sell your ANCIENT VISION items on eBay ! Ancient Vision were formed in 1984 in Kansas under the guidance of keyboardist Tom May along with Barry Spry on bass and Russ Gross on guitars.Initially the band was programming the drum parts,but after discussing with producer Tim Matyear they decided to find a real drummer.The one was Rob Leytham and soon singer Tom Hook also jumped on board.In late 80's Ancient Vision were on English ground,at Dave Pegg's "Woodworm Studio" in Barford,to record their first full-legth album ''The vision''. The band indicates Jethro Tull,Eloy,Genesis and Mike Oldfield as its influences but there is little to be heard regarding these bands.From the above bands only GENESIS echoes shine at moments,where mostly I can hear a hybrid of GENESIS,KANSAS and ELP.The result recalls other US bands of the time like MAGELLAN,MASTERMIND or CAIRO,though less bombastic.The album is quite accesible and melodic without being mainstream at all,featuring a vocalist with an expressive voice but with a mediocre result.All tracks contain soft and more aggressive moments with powerful keys and strong guitar work,nicely changing moods and grandiose instrumental parts,but the singing doesn't help,while I expected a lot more from the average epic ''Stand''.The production is decent,again it is a bit buried from some flat keyboard sounds. ''The vision'' is a good album overall and it can be characterized almost as a private press,distributed by Tom May's own label and for this reason it is rather widely unknown.More or less a typical US Prog product of the time,''The vision'' deserves more recognition than it has earned and comes recommended by my side. Better than expected. Beyond any imagination what I can expect, I started listening this album. I was welcomed by warm and pleasant sound that really helped to improve state of my mind. Indeed, this record is not only accessible, but also full of interesting ideas. It's one of the most important things for me, "to be interesting". This record is, mostly because vast offering of ideas, patterns used and mild melodicity. Even there's electric guitar from time to time, it's nothing big and overall feeling from it is that it's rather calm album. That's good, I can take that, as long as it's not empty shell without life. It is fortunately not. And I always fall for pirates. First Beardfish, now Ancient Vision. 4(-), not legendary classic, more like unknown perfect gem, but worth of its rating. EDIT: After some time, it's not so interesting. Even as relaxing prog it's more than appropriate, you will have to either overcome (worse case), or enjoy calm/silent parts and find inner structure/harmony of this song. 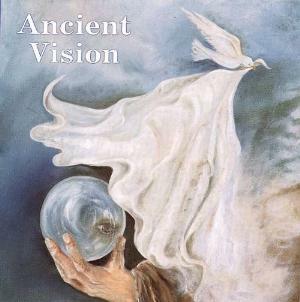 In 1991 the USA progrock sextet Ancient Vision released their debut album entitled The Vision, three years later followed by this second CD. The magic-realistic cover art is done by Dutch artist Mario Baert. I know him from my work for Dutch SI Magazine where he already made interesting black and white paintings on the cover and his work was even compiled on a progrock calender! The 13 songs (running time at about 70 minutes) sound pleasant and melodic with a head and tail. The music is quite simply structured but worked out tastefully: dreamy with saxophone in Dreams, beautiful acoustic guitar and a wonderful organ solo in Father And Son and a fluent rhythm with strong soli on guitar and keyboards in We Are Not Gentlemen and Mountains. The raw undertone in the vocals add an emotional dimension to the songs like in What Is Not Given and the titletrack. In general the musical approach is song-oriented but in the long composition Why Send A Man In To Do A Boy's Job delivers lots of soli, especially the keyboards sound omnipresent. My rating for this CD: 3,5 stars. 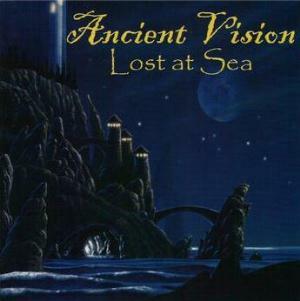 Ancient Vision is a U.S. symphonic band that wears its British influence on its sleeve (at least on their debut album). This could be because of Tom May's love of Jethro Tull, the fact that Dave Pegg helped them to record "The Vision," or that the studio was in Bedford, England. Whatever the reason, the influence is all over this album. There are distinct medieval folk passages, and the singer has a bit of an accent. There is a loose concept surrounding this effort, and there are recurring themes. The musicianship is first class, and the composition is strong and tidy. However, I can't help but feel there is something missing. The grandeur that the music aspires to never quite seems to fully blossom. The musical themes also get a bit repetitive at times. I don't want to seem too negative, because it's actually not bad at all. 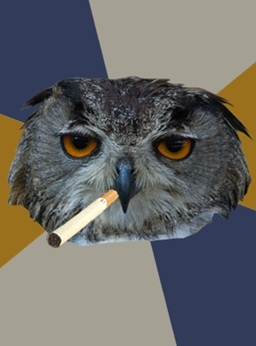 In fact, on a purely academic level, it's quite good. I just can't shake the sense of wanting more. It is a pleasant listen, but I don't think there is a real need to actively seek this one out. I have a vested interest in symphonic (especially from the U.S.), so I am happy to have it. If you are simply curious, it's not a waste of time or money. Sorry, but I just can't generate any more enthusiasm than that. Ancient Vision originally formed around 1984\85. Tom May (group leader) had been writing music for quite some time when he decided to form a group to record. He felt that a band effort was more productive, as it offered other viewpoints on the arrangements and the production of the music. The original group consisted of Tom May on keyboards & guitar, Barry Spry - bass, and Russ Gross - guitar. This formation worked with programmed drum machines and computers for their percussion section. They rehearsed in an abandoned studio inside a cave in Independance, Missouri. About a year went by when the group decided to record the music that was to become their first release "Vision". At about the same time, Spry, quite by accident, struck up a friendship with Jethro Tull bassist Dave Pegg. "Tull" had been one of May's biggest influences, so after discussing where to record their first CD, they decided, for fun and quality of recording, to do it at Dave Pegg's "Woodworm Studio" in Barford, England. As the group discussed the future recording with Tim Matyear (engineer at Woodworm), they decided it would be best to utilize a "real" drummer. Rob Leytham was given the music to rehearse and quickly became part of the band. The only missing piece was a vocalist that could sing powerfully, accurately, and with the proper emotion that the music demanded. 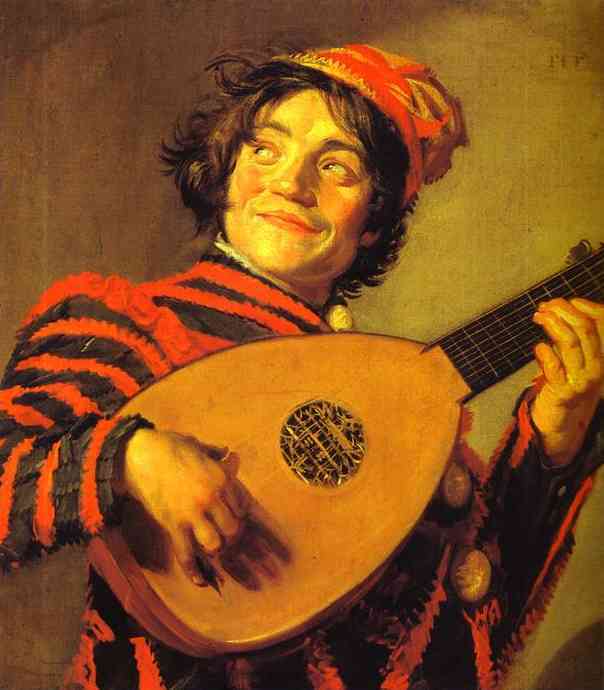 After a few disastrous auditions, it occurred to both Gross and May that the perfect singer for the group was fellow musician Tom Hook, whom they had played with in a "cover" band. They were so convinced of his talent that there was never an audition or rehearsal! So, in July of 1988, Ancient Vision went to England and, in a very short two weeks, recorded and final mixed the entire album "Vision". In retrospect, with such a short time available, the group feels that this was successful due to their previous hard work at rehearsals, Hook's incredible natural ability, and the entire groups willingness to listen to the experienced (although quite young!) Tim Matyear's suggestions and direction. The group also attributes the fine quality ale's and stout's served at the local pub for their tenacity! As the group was (and still is) completely self promoted, they had to come up with the money to put the master tape into a sellable CD package. With help and advise from various supporters, "Vision" was released in early 1990. Upon completion and distribution through some of the "underground" record distributors, Ancient Vision found that they had a small following (mainly in Europe). They also performed live a few times in the Kansas City, Mo. area with a surprisingly enthusiastic response from people of all ages and walks of life. With the limited but surprising success of "Vision", Tom May decided to produce another albums worth of music. This time the music, although still written from the heart, was written and arranged from a "group" viewpoint. Joe Allen, who had been running sound for the bands live performances, was added as the groups main keyboardist. Joe brought to the group a wonderful understanding of "how things fit together", along with his fine keyboard playing. 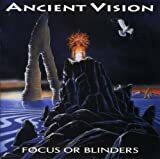 With over two hours of new music available, Ancient Vision set out to record their newest album to date "Focus or Blinders". This time they recorded the album at one of the local, high quality, recording facilities in their hometown of Kansas City. "West End Recording" provided them with the perfect facility from an equipment perspective, but they felt they still wanted to use Tim Matyear for the engineer. He understood the musical direction of the band. Tim was very enthusiastic about this, and in August of 1993, flew over to start production for the new album. The recording went fine with over two hours of "finished product". Some rich background vocals by Debbie Brown and tasty alto sax parts by Steve Phillips were added. Then the band took a long overdue rest. Getting that quantity of music recorded and mixed to their much higher degree of production expectations had taken its toll on all involved. During late 1993\early 1994 the band listened to the finished product and decided which songs would fit conceptually best in the normal length of time for a CD. Upon listening though, May decided that, although impeccably recorded, there was something missing from his original conception of the music for this album. So, with much help from Joe Allen, and the wonders of modern day technology, over the next few months additional guitar and keyboard parts (including some solo's) were either added to the original final mixes done by Matyear, or re-recorded and mixed with the owner of the recording studio, Mike Miller. Now they had the sound they were looking for. 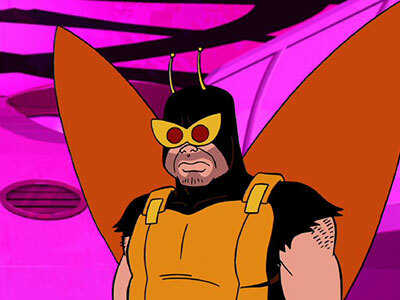 A much "slicker" recorded and produced album than "Vision". With beautiful art work provided by professional artist Mario Baert (Netherlands), "Focus or Blinders" was ready to go to press. Once again the capitol for final CD production was found, and in early 1995, "Focus or Blinders" was released. 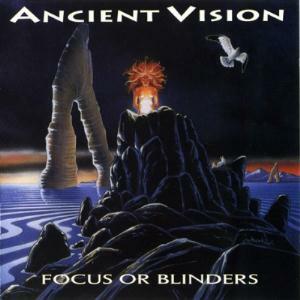 "Focus or Blinders" has brought Ancient Vision an album that can proudly be compared to any "major studio" production. The reviews and comments have spoken of the rich textures of the music. The overall maturity that the band has grown into. The simplistic more "songish" feel that the complex arrangements have taken on. With their credo of: "Respecting the Past. Experiencing the Present. Creating the Future. ", Ancient Vision is looking forward to the future of their "Vision"
The opening track 'Fail Me Not' starts off with some nice keyboards and percussion as an intro before the main song starts. The keyboards are very mellow, but there's a nice melody and the vocals are fairly soft and emotional except for a few occasions when Tom gives the vocals more of a raw edge to them. The third track 'What Is Not Given Is Lost' the keyboards have a Rick Wakeman/Yes feel to them and the guitar work is more Genesis influenced, nice vocals with plenty of emotion. The next track 'Tonight' is a fairly mellow track with some excellent keyboards. Gets a little heavier when the chorus comes in and the chorus is quite catchy. Again the keyboards at times sound in a similar vein to Rick Wakeman/Yes. Towards the end of the track there's some nice guitar work. 'Dreams (Part I)', is a nice ballad with emotional vocals and some nice dreamy saxophone playing to finish the track off. The sixth track 'Why Send A Man In To Do A Boy`s Job', starts with a dramatic/atmospheric intro. The main part of the song shows a lot of Genesis influence. Nice keyboards which are fairly mellow, but quite atmospheric at times. Towards the middle of the track there's an outstanding instrumental break with some stunning keyboard work. The vocals are more powerful at times on this track, but still carry a lot of emotion. 'We Are Not Gentlemen', Strong vocals and for me the first part sound like a song which belongs in a rock opera. Later there's a nice instrumental with some excellent keyboards and guitar. The ninth track 'Focus Or Blinders', starts off with a Rush type keyboard intro, there's also a strong drum sound and some nice guitar work. The vocals have quite a raw edge to them and are fairly powerful at times. Again this is a track that gradually builds up until you reach the chorus, when it mellows out, then it starts to build up again. But there are a lot of changes in mood, tempo and direction throughout this track and some of the vocals are very emotional. The next track is 'Mountains', an unusual kind of love song, the lyrics point to LOVE, the music however, is more dramatic than you would expect for this type of song. The vocals are fairly powerful too and quite gutsy. There's also some nice keyboards and guitar work. 'Mother Earth', starts off with some atmospheric keyboards, Yes style and then there's some sax , a bit like Van Der Graaf Generator. The vocals are powerful once again and then there's a wonderful guitar solo. Back to the vocals, nice keyboards and more sax just before the track finishes. The twelfth track 'Hope, Love And Fear', This is another very short track with a classical feel to it. The vocals once again show a great deal of emotion. The final track 'Reprisals', starts off with some atmospheric, emotional keyboards. Then the track changes and bundles together and reworks themes from some of the tracks on the album. A well thought out piece and serves to be an excellent conclusion to the album. An excellent album and one I would class as a progressive rock opera. Superb musicianship and outstanding songwriting. Highly Recommended!! !